As the name of the club suggests, its history is closely linked to the River Medway. The club maintains several long stretches of the river, which has once again become a thriving mixed fishery. Day tickets are available (if purchased in advance) for all but one of the Medway stretches. The river can be fished at night by members without the need for a night fishing permit. As a river, the Medway is subject to the close season of March 14th to June 16th every year. 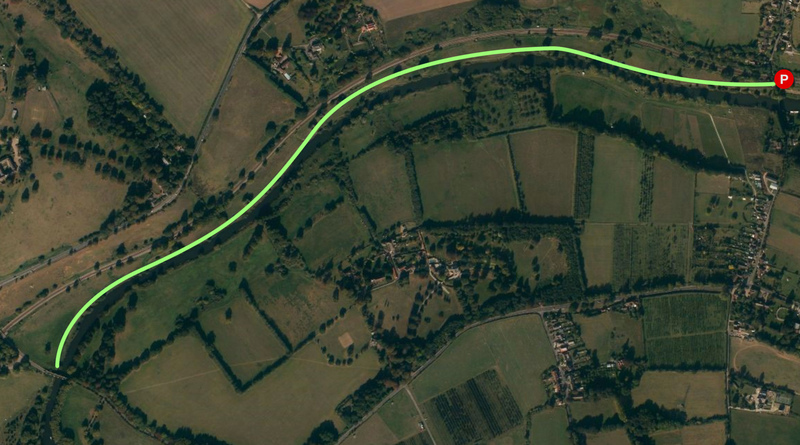 This stretch runs from Barming Bridge, through the car park and into the wooded area for about half a mile. It is easily accessible from the car park, where there are half a dozen or so swims if you don’t want to walk too far. This stretch has benefitted in the last year or so from the bank being lowered in a number of swims. This makes the fishing much more comfortable, and available for more anglers. In general, the stretch is quite shallow, although there are some deeper holes below the car park on the bend. In the summer, the car park length can suffer with a lot of weed growth, but we do try to cut this back at least once a year. This particular stretch is rightly well known for its chub fishing, with fish over 5 pounds being taken regularly (we had two in a club match not long ago). The car park also produces bags of bream and roach, and there has been the odd barbel taken. As with all of the Medway, the Pike fishing is first class. This is the other side of Barming Bridge, a very short walk from the car park. The clubs prime match venue. A longer stretch than below the bridge, this runs from Barming Bridge all the way to the kissing gate below the first field from Teston Bridge. As you would expect from such a long run, the fishing is varied. 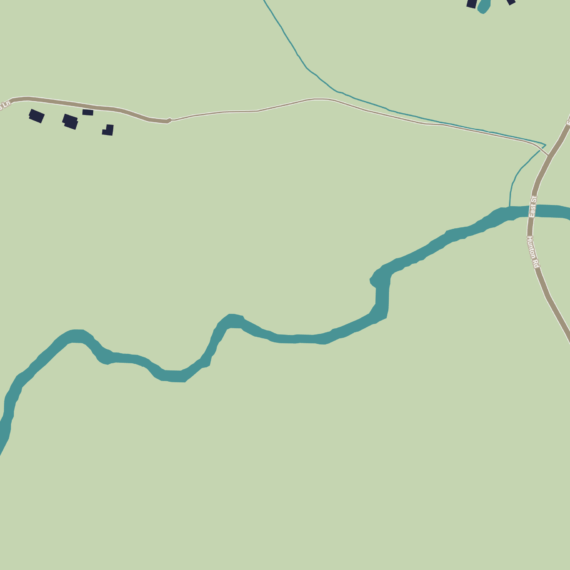 The river changes between wide deep areas, to narrower, slightly faster stretches. Some areas are open, others wooded. There are regular areas of pad, as well as reedy areas. The fishing is generally dominated by bream, although there are areas where large chub are resident. In recent years, the population of double figure carp has increased significantly (there are a huge number, but they are expert at avoiding capure), as has the number of barbel, which have been caught very close to double figures. Some work has been undertaken to improve bank access, especially where the bank is high, but expect further progress in the near future. 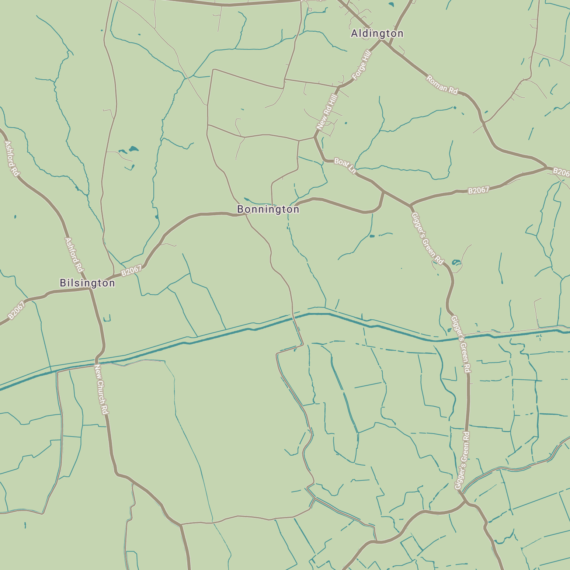 NOTE: Our water does not extend to Teston Bridge or above. The picnic site and field above the lock are separately owned and managed. This is another very long stretch, which could certainly do with a few more anglers on the bank. Access is not as easy as at Barming. 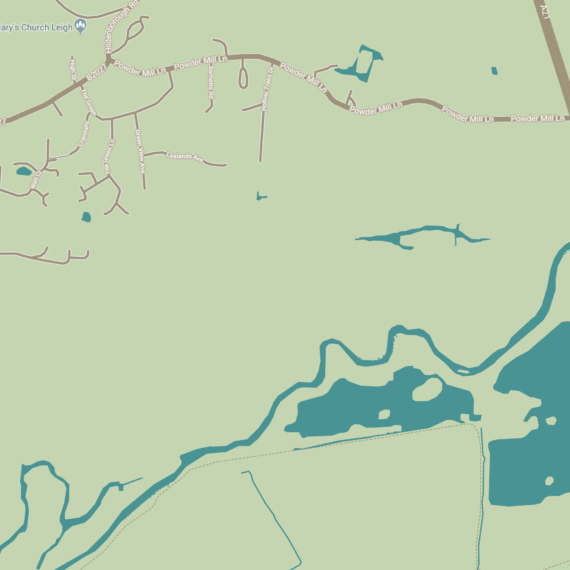 The nearest parking is in the lay-bys which used to be the entrances to the chemical works, or at Yalding railway station, which is a short walk from the river. Once on the bank, you will find yourself in an extended lock cut. This provides good fishing if the river is flooded. After a couple of hundred yards, the river proper begins, with the Medway flowing in from the opposite bank. The miles of natural bank below offer a great opportunity for the more adventurous angler who wants to get off the beaten track. There is another access point by Nettlestead church (park in the lay-by and cross the road following the footpath). This entrance is not suitable for trolleys as there are stiles to climb. Information on this stretch is sparse, so any catch reports would be gratefully recieved. 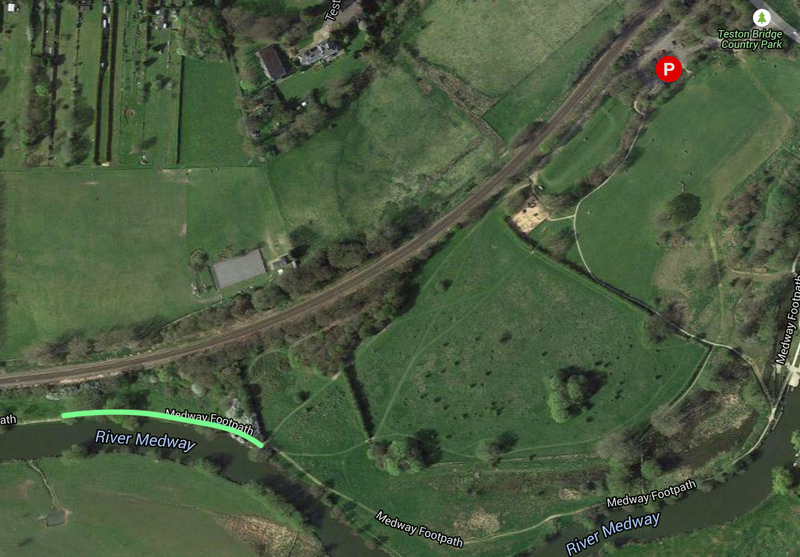 The club has access to this excellent short stretch of the Medway from mid-October onwards. 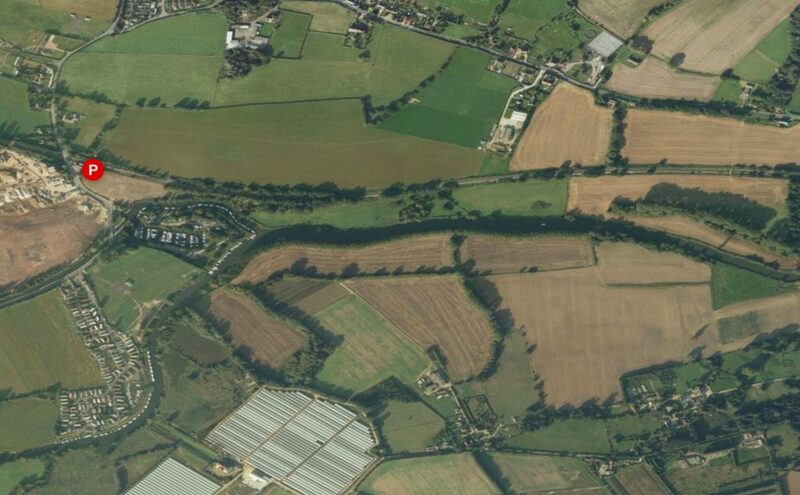 It is two fields above Teston Lock, beyond the picnic site. 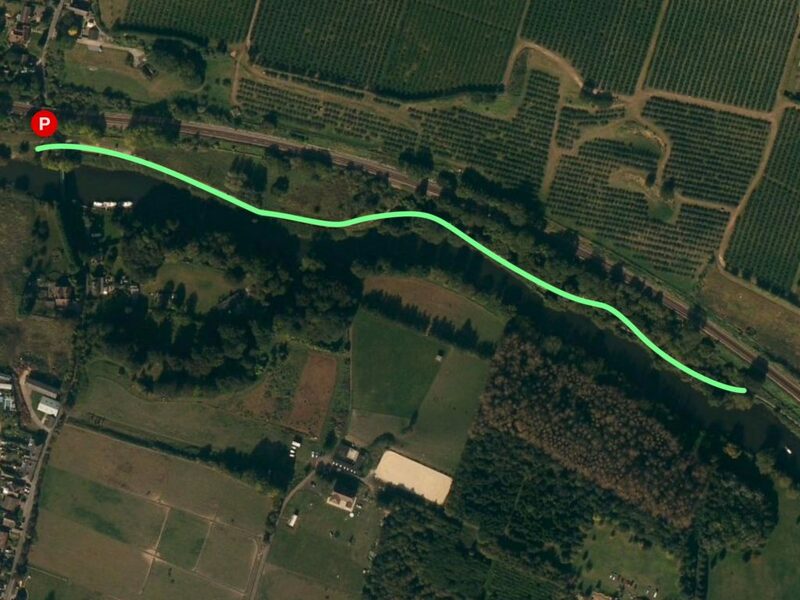 It is less of a hike if you park in their picnic site car park and walk out of the car park opposite the entrance, rather than following the river. The walk is well worth it. The bank is low and even, making for comfortable fishing, and the water is deep (well over 10ft in places) making for excellent winter bream fishing. I suspect the pike fishing might well be worth investigating, with fish over 25lb reported. Use the map below to explore the M.V.A.S. 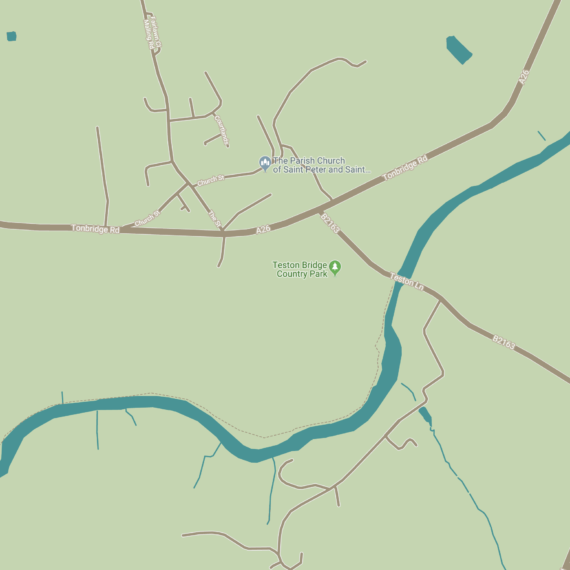 river stretches and locations of car parks.